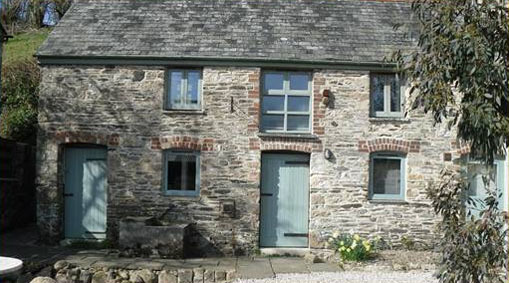 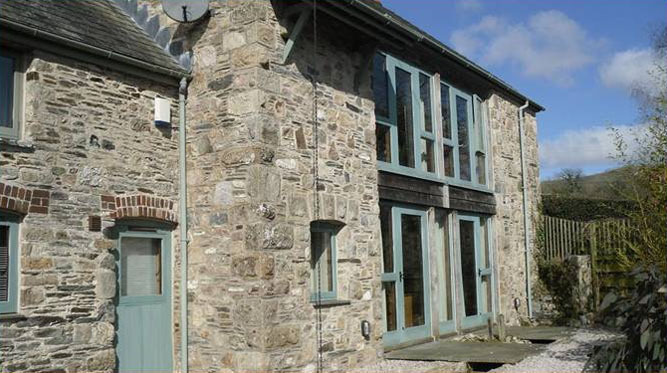 Quither – Whiteley Farm, Ivybridge, Devon. 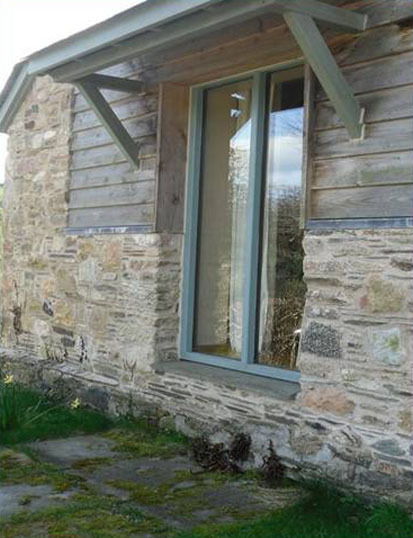 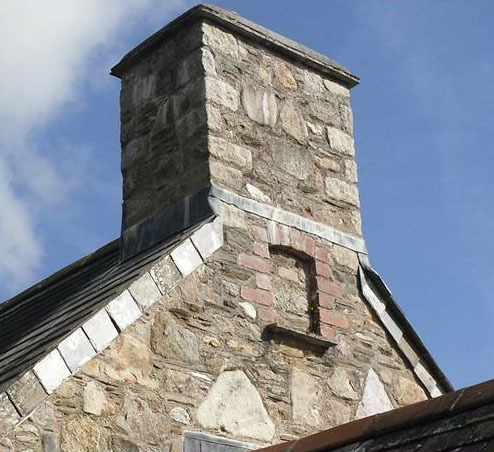 We carried out all the stonework for the conversion of this barn and ‘Shippon’ which is situated on the outskirts of Ivybridge in Devon. 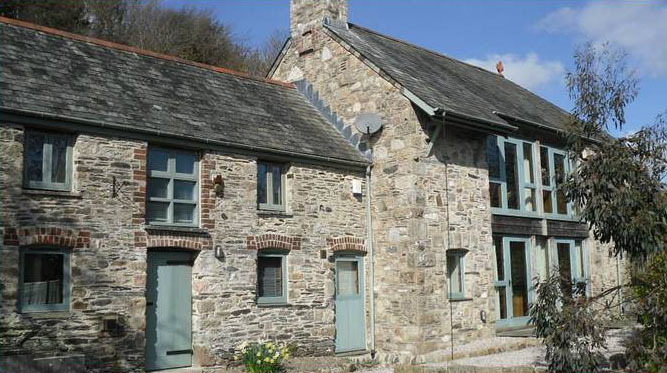 Named ‘Quither’ an old English word for ‘peaceful hamlet’, this building has almost 200 years of history. 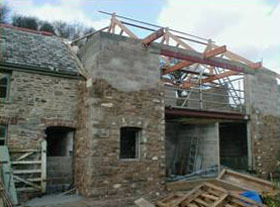 The ‘Shippon’ adjoining the barn was completely delapidated and had to be demolished and then rebuilt. 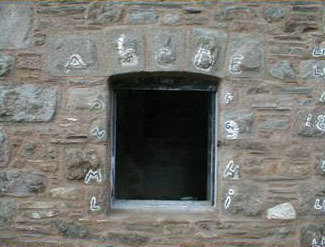 Prior to it being taken down photographic records were made to identify locations of key stones within the structure to make sure they went back in their original positions during the re-construction. 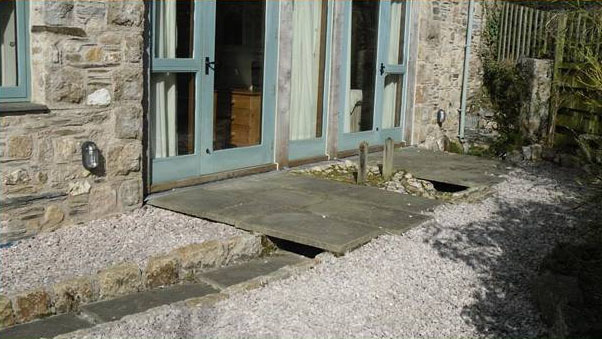 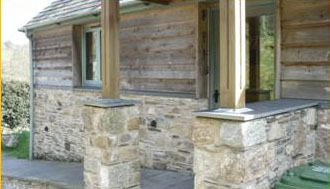 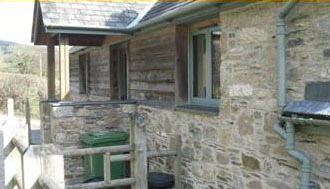 All the stone was re-used with a mixture of additional stone comprising of reclaimed slate, granite and limestone. 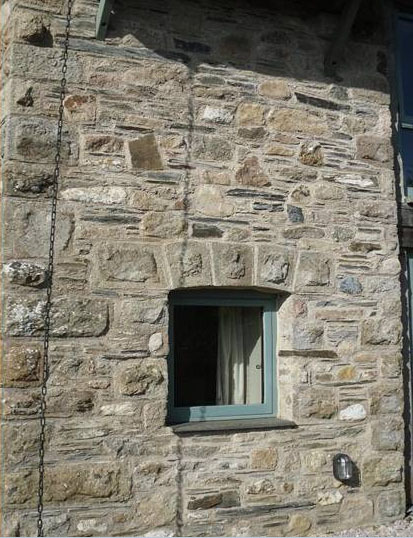 The chain you see in the image above hangs down from the outlet in the guttering and when it rains the water is channeled down to the ground and acts like a downpipe. 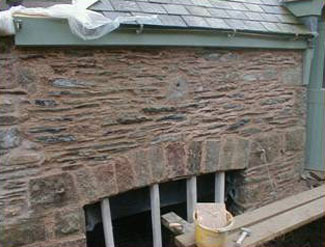 Traditional lime mortar was used to construct the stonework. 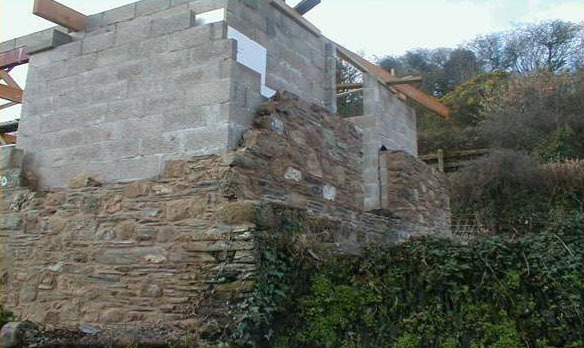 ‘Shippon’ is an old word for cowshed. 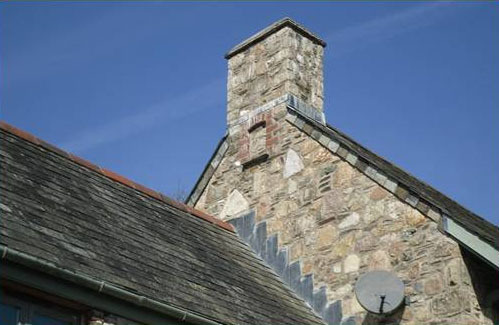 A chimney was built on the gable end. 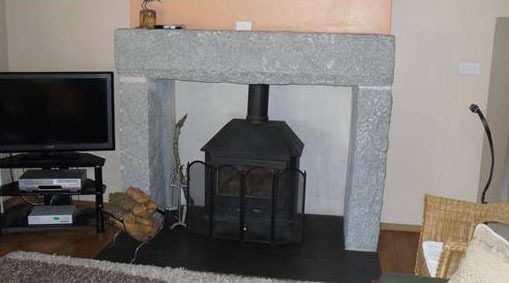 A very simple fireplace was constructed that was built using Dartmoor granite which sat on a natural slate hearth. 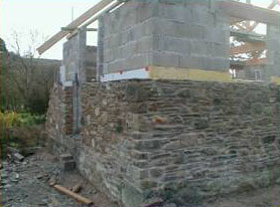 Areas of the existing barn were repointed. 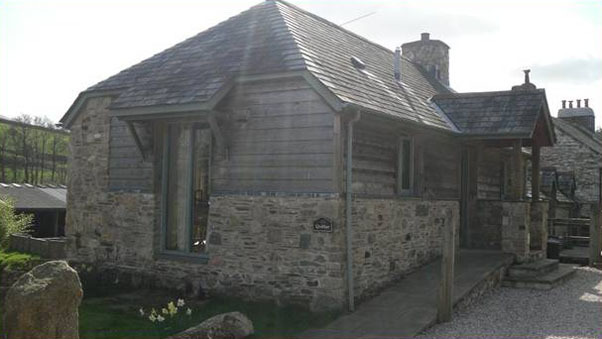 This project was shortlisted for an award by the Country Land and Business Association for best conversion.